First proper post! And it’s a lazy one, given I can see this building from the office, but you have to start somewhere! 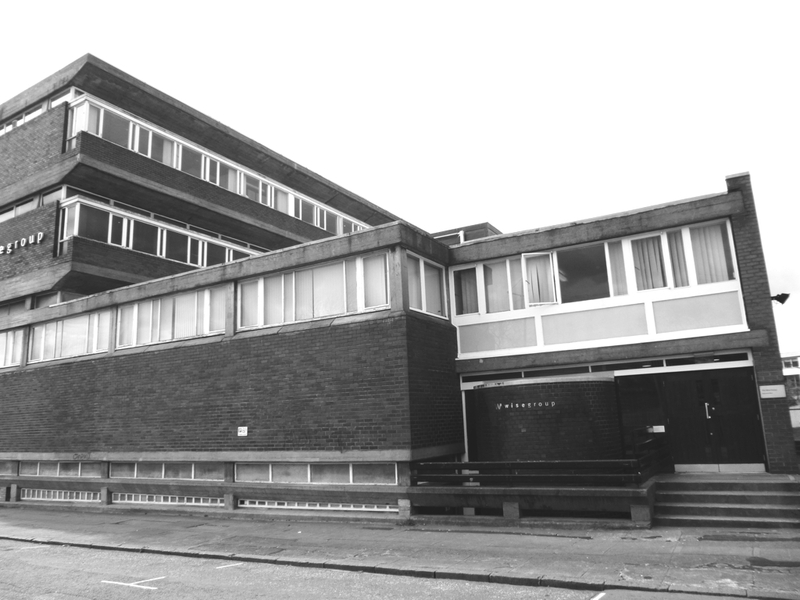 The building in question is Gillespie, Kidd and Coia’s 1964 extension to Our Lady and St Francis Secondary School, an extension to an existing school completed in 1913, with a 1923 classical block added by Thomas Baird in 1923, and a 1954 un-listed extension also by GKC. In 1989 the school was closed and the site was cleared with the exception of the remaining GKC four-storey extension to Greendyke St and the three-storey block on Charlotte St.
It’s disappointing that the building doesn’t exist in it’s original context, and so far I have been unable to locate any archive photographs taken between 1964 and 1989 that would allow the relationship between the earlier blocks and Jack Coia’s design to be fully appreciated. Sadly, since the demolition of the original school the urban density of Charlotte St has been lost and the gulf between the two GKC buildings is occupied by a car park. Charlotte St, despite being home to two A-listed buildings, is badly damaged from an urban point of view. 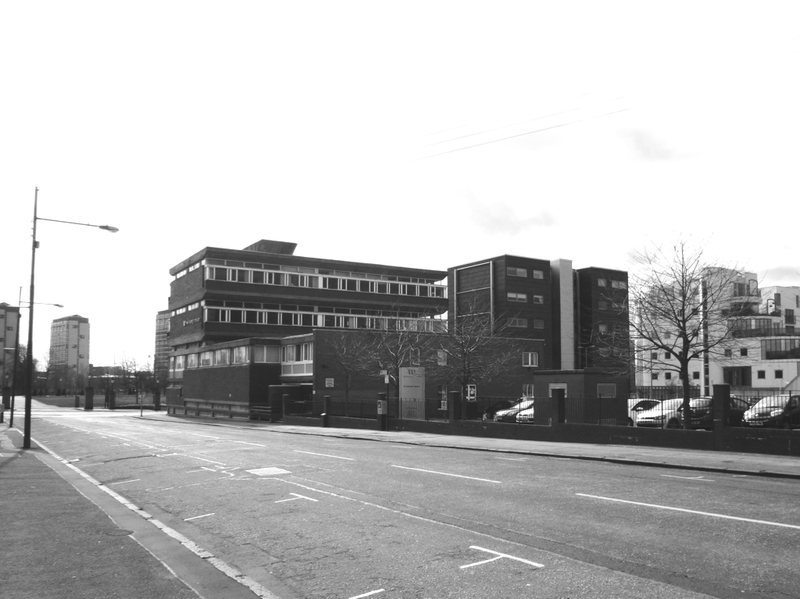 To the north, the long-demolished corner building has been replaced by an incongruous block of flats rising to 8-storeys, which are inexplicably set back from the street. The aforementioned car park, is the primary edifice to the west of the street, whilst the east is an empty parcel of city council land used for storage, bounded by a steel palisade fence. Intended to be the site for Phase 2 of the Homes for the Future project, which was approved in 2005 but never completed, the site has lain derelict since. Furthermore, the GKC building also only allows a side elevation onto Charlotte St, meaning that of the buildings that remain on Charlotte St only one properly addresses the street. 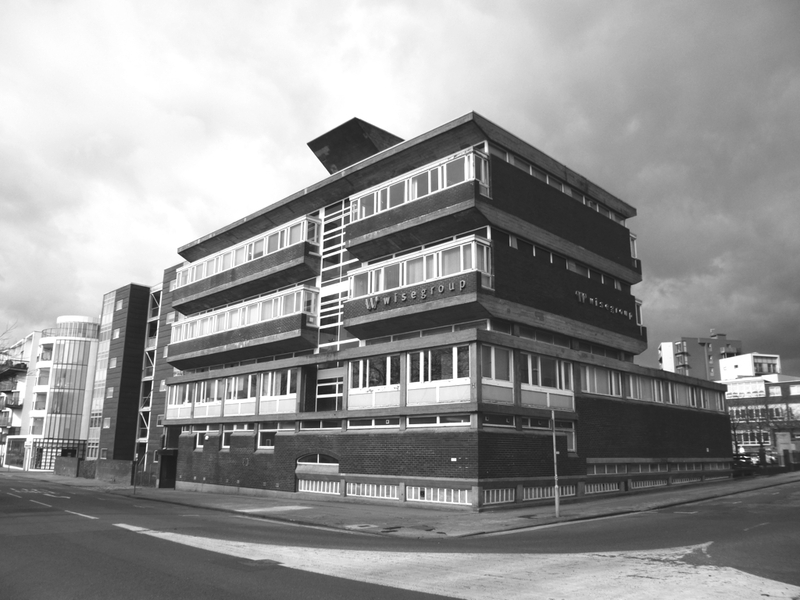 Jack Coia’s Le Corbusier-inspired building is arranged on a north/south axis with its main frontage onto Greendyke St, and was originally home to classrooms, changing rooms and a gym arranged around a central staircase. 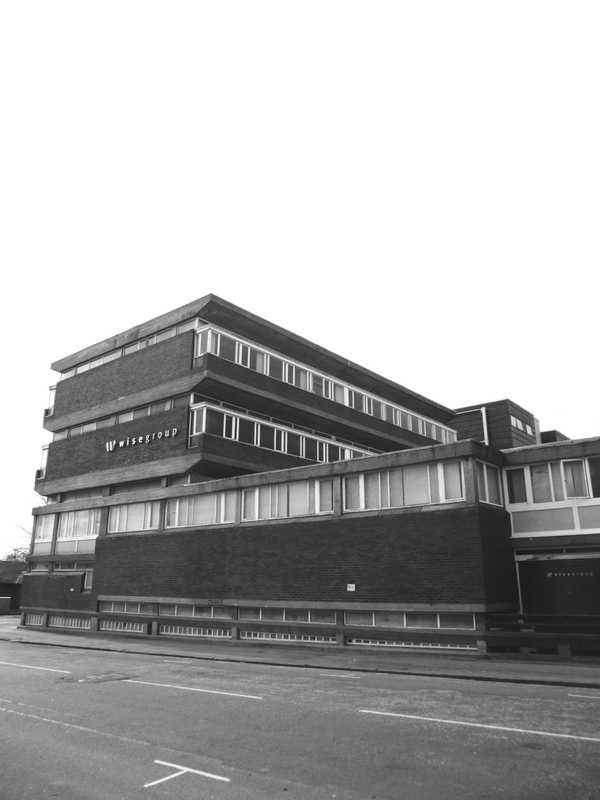 The building is now occupied by the Wise Group who converted it to an office block in 2007. The design is defined by strong horizontal banding of concrete, engineering brick and glazing, which serves to soften the mass of the building. It is a well articulated facade with the clerestory and stair core glazing recessed deep into the facade below the diminishing edges of the concrete frame, where sloping board-marked concrete soffits allow for more light to penetrate. This creates a lightness of structure where cantilevered classrooms appear to float in space supported by glazing and generates dramatic shadows on the southern facade. A sculptural concrete element surmounts the roof, aligned with the tall fenestration of the stair core providing a weighty cap to the most delicate section of the elevation. To Charlotte St, the two rafts of ex-classrooms are suspended above a heavier plinth that projects out from below the main mass of the building where clerestory glazing brings light into the gymnasium and entrance areas and the basement below. This reduced height would have originally bridged the gap between the main school block and the extension. The understated entrances on Charlotte St and Greendyke St can be understood through the buildings secondary role to the now-lost school. The structure of the building appears to be in good condition, the use of engineering brick has meant that it has lasted well. There is evidence of repairs to the exposed concrete frame throughout and further cracks developing. The windows, whilst primarily intact show signs of degradation and the associated paint work is flaking throughout. The clerestory glazing to the basement has been victim to vandalism, installed as it is at a convenient height to kick. A plaque has been installed at the Charlotte St entrance, commemorating the site as the location of the former home of David Dale, who founded New Lanark alongside Richard Arkwright. The Historic Scotland listing for the building can be found here.